Antivirus software has evolved over the years and so the malware attacks. In order to protect your computer from sophisticated cyber attacks, you need best antivirus software. In recent times, ransomware attacks are on the rise globally. Hackers are spreading new variants of ransomware to infect smartphones. Not only have we seen an increase in ransomware attacks, but the level of sophistication in those attacks have also increased, as well. In this article, let’s discuss how to protect your Android smartphone from ransomware attacks. Ransomware: Ransomware is a type of malware usually disguised as useful software. Once entered the computer or smartphone, ransomware prevents or limits users from accessing their device, either by locking the screen of the device or the users’ files for a ransom. Unlike PC-based ransomware which exploits known vulnerabilities in the Windows OS, hackers use phishing scams and other social engineering tactics to trick users into loading the Android ransomware onto their smartphone. Hackers often disguise the ransomware malware as a useful app. Unwary users download the ransomware malware considering it as a safe app, giving it the necessary permissions on their smartphone. Once installed, ransomware locks down the device making the smartphone inaccessible to the user. Apart from disguised as a useful app, ransomware can also enter your device through phishing links sent via email, text, or through fake requests to perform system/software updates or add plugins. The first and foremost thing that you have to do is to keep your Android device up-to-date. Google’s security updates keep your smartphone safe from all types of threats and malware including ransomware. Download apps only from trustworthy sources like Google’s official Google Play store. You should refrain from downloading apps from third-party sources and websites as they are unreliable in terms of security. Most of the sites which let you download apps for free often supply you with insecure apps carrying adware or malware. Enable Google’s security system (Verify Apps) feature on your Android smartphone which analyzes an app for potential threats before installation. To activate it, Go to your Device Settings, Tap the Accounts–>Google–>Security–>Verify Apps. In ‘Verify Apps’ activate ‘Scan device for security threats’ feature. Back up your device data either on your computer or a cloud-based service like google drive or a portable USB disk. Backuping will ensure that even if your device gets infected with a ransomware malware, you don’t lose any data. It is also useful in case the hacker threatens to delete your data. Make sure to check out the app’s rating and reviews before downloading and installing an app on your smartphone. It will help establish the legitimacy of the app and protect you against fake apps which try to mimic the legitimate apps. You can install Comodo Free Antivirus on your android smartphone. It is one of the leading virus removal tool used by many users across the globe. Apart from essential virus removal feature, it offers other premium features like Real-time protection, Secure Browsing, Secure Wi-Fi, Call Blocking and Remote Command to name a few. 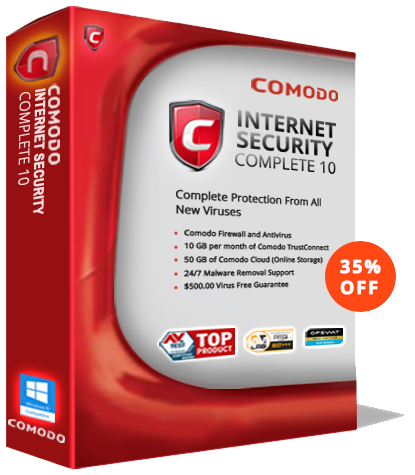 Comodo free antivirus is the best antivirus software program available in the market right now. It packs loads of advanced features such as Default Deny Approach (which defends against all types of sophisticated, hidden zero-day malware attacks), Defense+ Technology, HIPS (Host-based Intrusion Prevention System), Containment, etc., which can effectively ward off any security threats. Install Comodo Free Mobile Antivirus today and protect your Android smartphone from all types of threats and malware. How Android malware scanner protects your phone or tablet? What is a Rumba Ransomware?